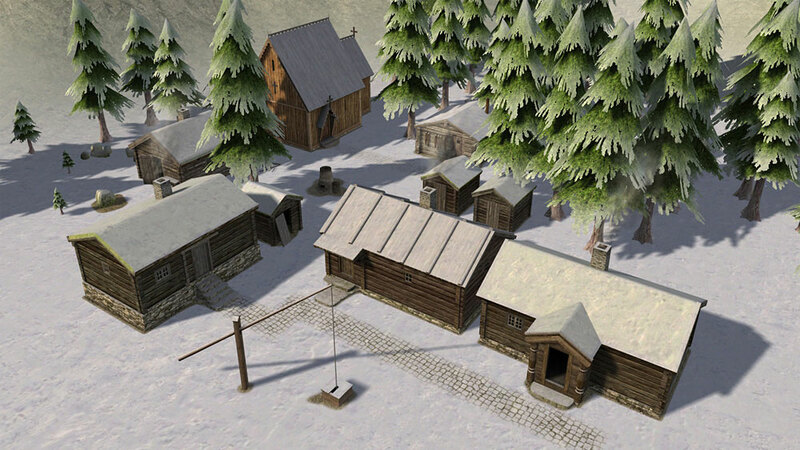 The North is a thematic overhaul mod for the city-building and survival game Banished. It includes a new landscape with realistic climate and sun pitches, typical ambient sounds, wild animals and resources, a set of buildings in Nordic style, new production chains, a reworked trading system and many small changes. 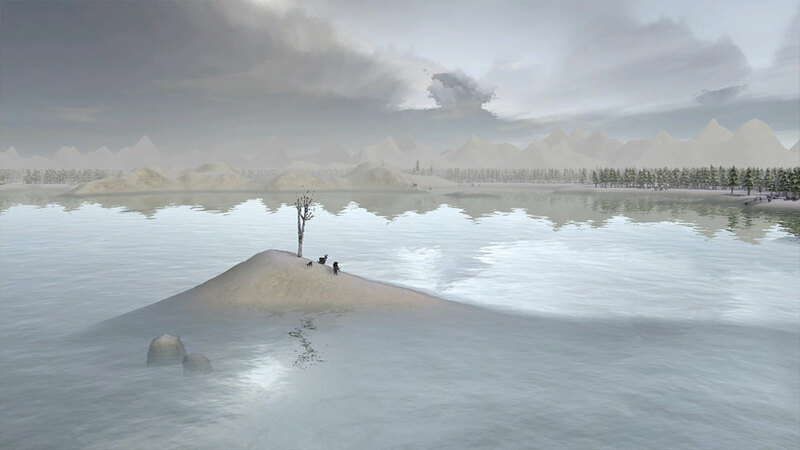 Different start conditions allow games from easy and relaxing to very challenging. All models are self-made and inspired by historical buildings. The focus is on realism and survival. This is the official download page of the North mod. Here you get always the latest version, translations and add-ons. Download the latest version for manual installation – May 23, 2018. Subscribe the latest version in Steam Workshop for installation. To install this mod manually, extract the zip file and copy the North.pkm to your Banished Windata directory. 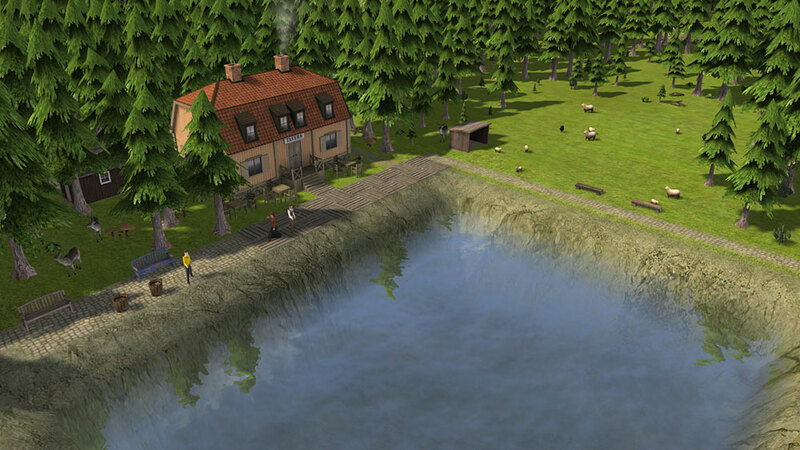 If you purchased the game on Steam, it is located in Steam\SteamApps\common\Banished. Start Banished and open your mod list. Enable the North and place it on top to adapt buildings and resources of recommended mods to the Nordic economy. Red markings only point to overwritten files and do not mean a real conflict in this case. After changing your mod list please always exit and restart Banished to clean up the game from disabled mods. It avoids crashes when auto saving or quitting later. The North is changing the whole game and cannot work properly with other main mods. They overwrite each other and it will not be a consistent result. 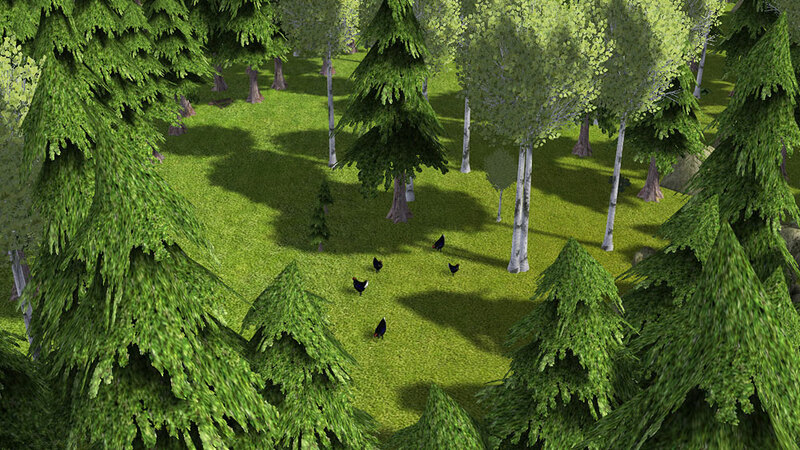 It is recommended to play the Nordic scenario standalone or together with compatible mods. This mod requires Banished 1.0.7. If you still use an older version of the game please update first. You can optionally use these add-ons and translations. They are separate mod file and have to be copied into your windata folder as well. Translations have to be placed above the main mod to overwrite strings and textures. They also can be enabled/disabled in a running game to switch languages. For suitable mods of other authors please check the compatibility list below. Adds crops from the New World to expand farming in the North. Removes particle effects from Nordic buildings for better game performance. Since you are converting a lot of your buildings in a standalone mods, I wanted to ask you if there is any chance to make standalone your beautiful blacksmith workshop and if its possible that he operates with vanilla parameters?. No hard feelings if you cant – its just a wish. Oh yes,one more thing.Could you make a footprint on IZBA so,that road can pass by the door if its not to much trouble. Hi buddies. I played this mod for hours and I think its very good, gave the game a new life. But unfortunately, don’t know why, my game isn’t saving. Im really sad about this. Had somebody the same problem? Can anybody help about this? Im using steam on PC and downloaded the mod inside the game (602 1.0.7version). Hi Andre, what do you mean with not saving? Is it crashing when saving or is there no working save file created? The first thing you can try is setting your mods from main menu, then exit and restart Banished for a new map. This would clean up your game from any inconsistent mod settings. It is also recommended to combine the North only with tested mods from the http://www.banishedventures.com/compatibility list. Hi Tom. How are you? Thanks for the rapid answer! So, when I click save (esc menu) it take few seconds and then back to the esc menu. When I go to Load, it just haven’t anything; none load files were created. I was just using the North mod. But the same seems to be happening without any mods too. Whe I played this some years ago this problem was not happening. Then it’s a general problem with Banished. Maybe reinstalling the game can solve it. Save files are located in User\..\Documents\Banished\Save. Edit found a comment by ebrumby on Steam: “Usually, if your game won’t save it’s because you have Windows 10 and the Save folder is designated read only. To fix it, you need to change it to read/write. The other most common problem is that your security software is preventing the saves.” The whole thread here. Very sorry about the late in answering. It was really a problem with my security software (Bitdefender). Already fixed! I’m loving to play your mod! Hi Tom! How are things on the North side? Are there any news? Hi Zak, I’m working on a temple for the old gods.. have to be careful with that to not get in trouble with them.^^ Will make a diary post in end of September. I have run into a problem with raising animals. For some reason my animals will not reproduce. They give me eggs/wool/milk, but they just don’t make new baby animals. And then the old animals die and eventually I have none. There is definitely room in the pasture for more animals, I’m using pastures appropriate to the animal type, and the resource limits have not been met. I removed any other mods that might have been conflicting with the animals, but that doesn’t seem to help. Its probably something I am doing wrong. Hi Lilly! This is usually because no herdsman working in the pasture. It is possible to run it without a worker and laborers will pick up eggs and things but animals will not reproduce. I will check if the default of no worker really makes sense and fix it for the next version if necessary. Hi Tom, a couple of questions because I love your mod and want to get the most enjoyment out of it. I’m about 60 years into a game and have two trading posts. I have plenty of good to trade but I seem to keep getting an endless stream of coin merrchants. I want to trade for fruits, sugar, salt and other things I need for a thriving village. Is this a bug in the main game or is something weird going on? I only have your mod installed. Also, what are wagon parts used for? I traded for some but can’t figure out what I can do with them. Thanks and love your work! Trouble started when it came time to build the Mine as, although I could see they were bringing in wood nothing was happening. At first I thought I’d have to do a bit of a rewind to switch to a different sort of mine. One of my viewers commented that they needed Lamp oil too. So, I tested that out and it did fix things! This is not mentioned in the tooltip, so I thought I’d mention that aspect of things. Very enjoyable mod, BTW, as I like playing under difficult conditions! Hello Athena! Thank you for your hint about lamp oil, I have fixed the mine description for next update. Watching your videos, one thing I see is that your ore output is broken by one of these tool mods. They contain iron ore and overwrite values. Normally iron ore has an output of 15 from a spot or per mining turn. These mods reset it to the vanilla output of 1-2 and its the reason for your kind of tool crisis. I suggest to move the tool mods below the North. Hope that helps–just sent it. Thank you, I will look at it and answer your email. I’m using The North 6.2 and Norsemen mods exclusively, no others. When I attempt to demolish a Gatherer’s Shelter which has stored materials, the operation is never fully carried out. (Empty ones go down just fine.) The building and stored goods remain, with the yellow ‘remove structure’ flag. When rightclicked it says ” this structure is 89%, (or 21% or whatever) demolished” . Has happened both times I have tried to relocate a GS that became too close to town as it expanded. The shelter continues to show dedicated builders, but nothing happens. Using the priority flag does nothing, and the condition persists throughout the game, regardless of available storage or workers, etc. It’s not a big bug, just annoying and thought you might want to know, as in the early game losing two builders permanently can be a bit of a problem. Thanks again for this great mod. Thank you for your bug report. I tried to reproduce it but in all cases the shelter is completely emptied and demolished. I would like to see a save file to check what happens in your game. You can send it to tom@banishedventures.com. At the moment it can only be made in the workshops next to log cabins. Hi Aztanor! It’s possible to reach 100% happiness but it can be tricky. Give them also some ale and keep their homes out of any gray detraction circle. I will write a little How-To about happiness. Hi Brian, looking at the salt cabin it has correct storage flags. It must be another mod above the North which overwrites salt, probably your EB Saltworks. I suggest to put it below. I will add other storage flags to the cabin to avoid this issue also with wrong mod order in future. Hello Tom, Thank you for the suggestion. I put EB saltworks below The North.The next couple starts the game crashed. Next, I kept the same mod order, but removed the saltworks and salt cabins. Then rebuilt both. Works good now. Hi Tom! Love your mod and have been steadily improving my gameplay and enjoyment of the game for the past few months. One bug I had with 6.1. When I build a blacksmith workshop and try to get it to make iron from bloom (obviously critical to survival), the blacksmith just carries the bloom back and forth from the stockpile to the workshop. As soon as it deposits it at the workshop the blacksmith brings it back to the pile, picks it right back up and brings it to the workshop, and so forth in a loop. I’m only playing your norsemen mods (one year aging and ironmen) with no other mods enabled or higher on the list than your mods. Any thoughts? Thanks Tom! No worries, I’ve very much enjoyed your mod! Would love to try out this mod, but am running into an issue. I have Banished 1.0.7 beta, fresh with no additional mods. When I load the game, it loads fine. I can start the new quest, but after about 2 mins, it crashes and freezes my entire computer. Any suggestions? Hi! 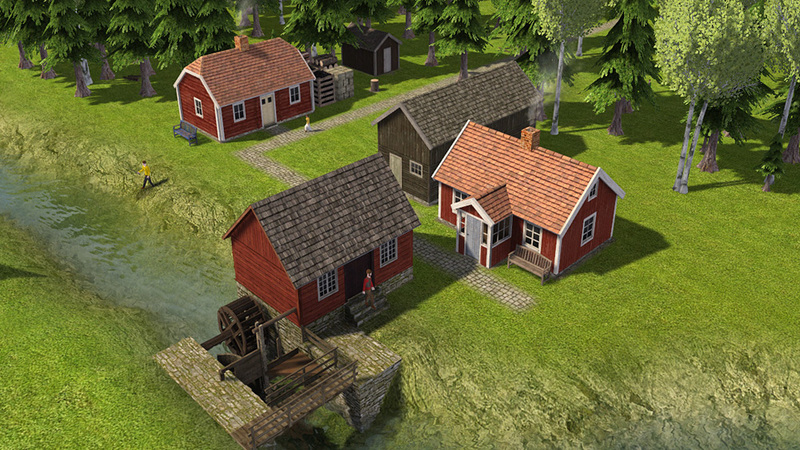 First, the current version of Banished is out of beta and should load as final 1.0.7. Your crash seems to happen when autosaving after a few minutes. The only known cause is an inconsistent mod list and usually can be fixed by a complete restart of the game after disabling other mods. You can try this but if you don’t have any other mods in your list then it’s unclear. Let me know if you get it to work now. Updated Banished to 1.0.7 final, and I no longer have any issues. Thank you for the heads up, I appreciate it. The mod is simply spectacular! Then second building idea is sauna. Sauna is very big cultural thing in finland and russia over centuries. Can you make more of your building mods avaible in seperate mods, like tavern, churches warehouses, barns, cityhall. North style storehouse is not included your Red Cottage mod. Thanks for your mods and apology, my english is not very good. A sauna is on my list already but still need some pictures for modeling. Hello Tom. This is not a mod for me a new game.I am looking forward to the north 7.Thank you so much. 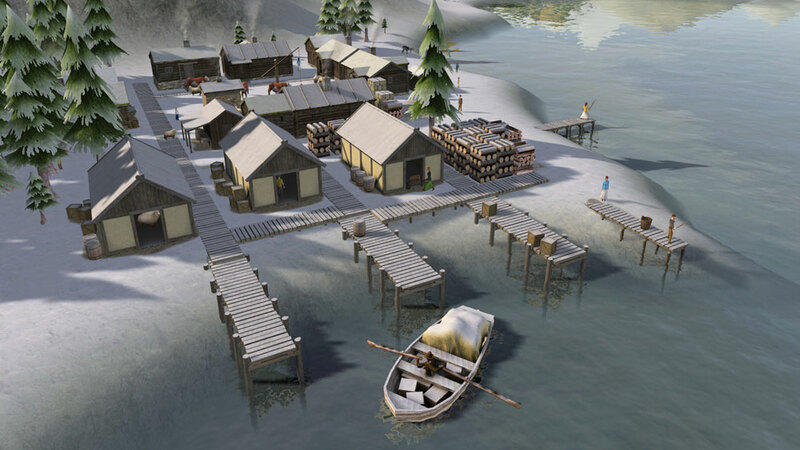 HelDM Gaming, who is playing your mod, is offered 400 per gold by traders at the trading dock. In my current playthrough, the value of gold is 1600 at the trading dock. Would you have any thoughts as to why the difference in value? Hi Brian, you don’t have the latest version. There was an early release before I uploaded to Steam on 24.12.. Gold and silver got a splitting for better trading and some bug fixes were included. I did not communicate this well here. Please download again for a new map. Ah, I see. The version I have is dated 23/12. One day off, go figure. I’ll download the more current version. I sure do like the 1600 value tho ;). Thanks much Tom. Hi Tom! Really enjoying the game but I’m having a problem with the basic blacksmith building. Despite having plenty of materials it won’t make any tools claiming that it there are no supplies available for the creation of tools. 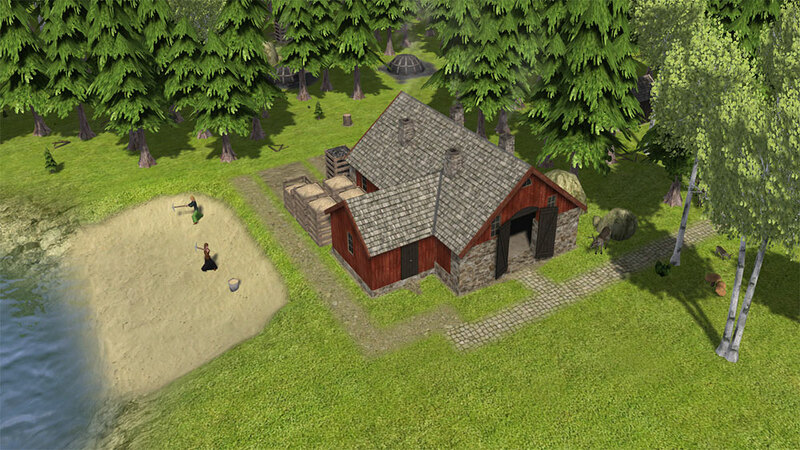 Again there are huge stockpiles of all the required resources both in storage and at the blacksmiths hut. Any clue how to go about fixing that? If it helps, this is the only mod I’m running so there shouldn’t be any overlap bug. Thanks! Maybe you missed a step in this chain. First step is making bloom from ore and next is forging it to iron. Tools can be made then from iron + wood and always charcoal is needed as fuel. If it’s not solved you can send me a screenshot. Hi Tom, just wanted to tell you how much I’ve enjoyed playing the North. I’m fairly new to Banished, and was hesitant to try this, but after reading Nilla’s great blog on WOB, I downloaded and started playing yesterday. After a few unsuccessful tries I’ve got a small, fairly strong settlement going and I’m really enjoying your little corner of Banished. Really great job. I look forward to any and all updates and future versions. This is a fun mod to play. Your really onto something here. The models are very pleasing. The early need for glass has been a fun challenge. My last play through, out of the first 20 traders, 18 were merchants with coin. It took a long time to get glass, hence my village was all stone huts and log cabins for a long time. It looked good. Smelting and minting coin would be fun. Expanded fishing would be fun too, herring boats and such. A way to pickle food would be a cool profession. Do you think there would be any conflicts with the viking storage vault, the one in the mega mod? Thanks for producing this “humble” project. I agree with Brian about expanding fishing. Having a wider variety of seafood would be great! It is something I have been missing from North 5. I like the option to crawfish that is currently available in game, but it produces a very small amount of fish and its cumbersome to use in mid to late game because it produces only 36 crawfish at a time. I feel like my Bannies are putting in lots of work to get the fish, but aren’t getting much out of it. And I always have to build a bridge before I can crawfish because the people will walk across the fishing spot and get stuck on the wrong side of the stream. I’ve tried removing and replacing the crawfishing spot (facing the opposite direction) but that doesn’t help. For some reason once they are stuck they won’t walk back across the fishing spot even if they technically should be able to; they insist on having a bridge. It would be nice if they would not use the crawfishing spot as a makeshift bridge-of-death. I like that glass is hard to come by in early game, if forces me to plan my towns more thoroughly so I don’t end up with funky looking corners or something. I noticed that people are missing salmon and trout from version 5. I unified them for gameplay reasons but it might be better to get them back for the Nordic atmosphere. Crawfishing is thought as a micromanaging way of food gathering in early game and as an option for survival without tools. They get up to 60 food from one spot. 36 it was in an older version. This bug of using the spot to cross the stream was fixed in the last update from 25. December. I guess you don’t have the latest version, Lilly. Thank you for your quick response! I will install the new version. I thought I had the latest update. Somehow I got my dates mixed up. I downloaded it after Christmas (for me), but I guess I downloaded an older version and didn’t realize it because I don’t personally celebrate Christmas on Dec 25. My family celebrates it earlier than that. I am sure that this explains why I don’t have the newest version. I apologize for the confusion. Also, I’d like to point out that you seem to be very polite to the people commenting on your mods, even if they are offering criticism. I appreciate that immensely. Sometimes it can be difficult for tone to be conveyed properly through text, and I have seen a few other modders take offense at criticism, even when it was obviously meant in a constructive/positive way. I envy your ability to create these wonderful mods. I spend more hours than I care to admit to playing The North. It really sparks my imagination. Im finding that there are a lot of other mods that work with North 6 as well, which makes it even more fun because I can customize my gameplay experience. You suggested that I try a roads mod to help decorate my town. I tried both DS Roads and EB Roads. I prefer EB Roads because of the aesthetics, however both worked just fine for me. Current mods that Kid put out are working with North 6 as well. I recently got back in PC gaming after 20 years of “taking a break”. I used to love playing games like original SimCity, first Civilization, Dune, first C&C and such. During those teen years I really had a passion for the games I played. The North immediately gave me different vibes than vanilla Banished. I started the game with totally different mindset. 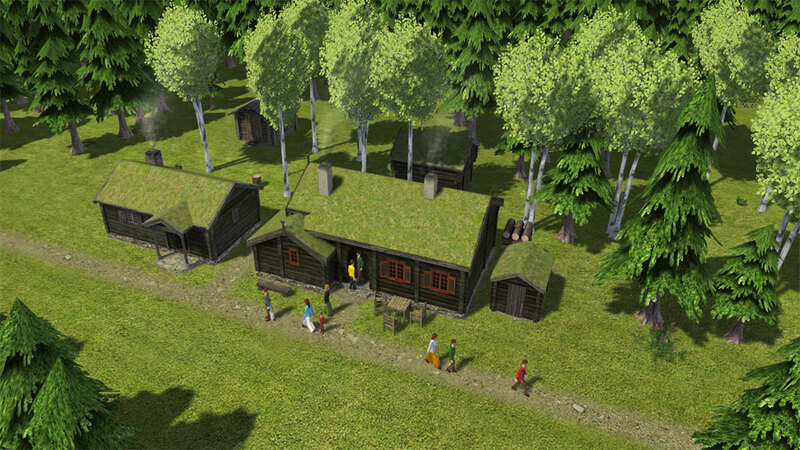 I’m also into history and I found myself building my village as it would be a small village from the 1850s Finland. 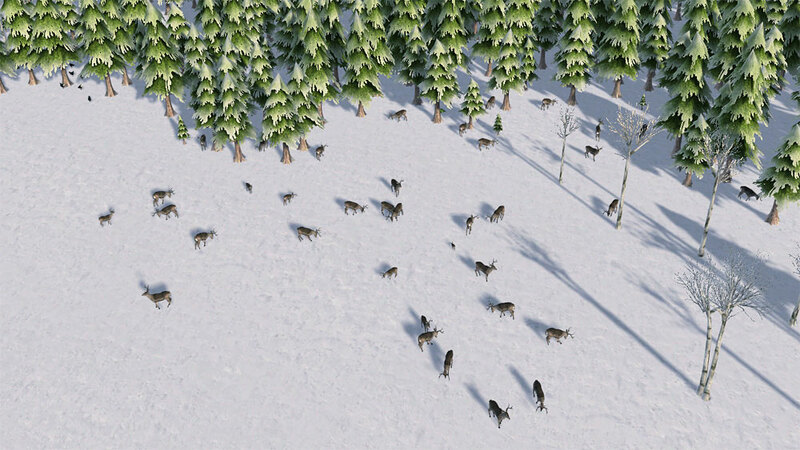 For me basic survival game translated into survival + city building sim. And the most important thing, this mod gave back my childish passion for gaming which I lost during this 20 years hiatus. Long story short. The North is awesome mod and makes the Banished the game as it should be. Keep doing the great work, making new buildings, decorations, production lines etc. I’ll also drop you a small donation as a appreciation for the great work you’ve done. Not sure if I’m asking for something huge or not. I’m not a modder. One of the things that frustrated me about Banished was once your villages broke off to other villages, sharing resources between those separate locations became difficult. How about a local trade caravan that’s only purpose was to balance resources at different marketplaces. Maybe a horse drawn covered wagon. The player would set minimums for each marketplace and the wagons would try to make sure that each market had those minimums met. Having decorative roads sounds great! I would definitely use them just to make my town look good, even if there was no speed boost. I am all for decorative objects! I have a question about fruit trees. Is there any benefit to planting a single tree versus planting an orchard? I am curious about this because the single tree requires a worker; will that worker be less productive because he has only 1 tree to work? I’m assuming he will still help out with other laborer jobs in his off time. I am a big fan of your mods in general. I especially love The North. I prefer it to any other “expansion” mod I’ve tried. I love how interactive it is. I’m currently using The North 6 for 1.0.7 and I noticed a change in the mining options, in that it appears to no longer be possible to mine gold. I know that I can search the river banks for gold, but is there any other way to get it besides that and trade? Does the river deposit new gold on the river banks, or is the gold that appears at the start of the game the only gold that will ever be on the map? I also have a question about food: Is it necessary to preserve their food so it doesn’t expire, or are the food preservation options just there for my enjoyment? Thank you for your feedback! Gold was removed from the mine with new trade values. It would have been an “all you need is gold mining” issue. It will probably come back with including gold ore for balancing it down. The gold nuggets at river banks do not respawn. Preserving food improves your food production a lot but in a more abstract way. We don’t have perishableness in game. So preserving makes it just increasing the amount of available food in assumption of keeping more of it available in the long run. For example: Salting as efficient way of preserving fish makes up to + 100% available. Smoking only + 33% but without expensiv salt imports. Thank you for responding to my inquiry about the food and gold so quickly! I have a request for improving the roads. I was hoping that in a future update you could make the roads look a bit more different from each other; such as darkening the color of the stone road while leaving the dirt road alone. I like to use the dirt roads as “sidewalks” and the stone roads as the “main road” but the two road types look so similar in color that I can barely tell the difference between the two when placed next to each other. I have one other comment that may or may not be related to the mod. For some reason, my game will occasionally go into super-speed, as in faster than the 10X speed available in the game. I am pretty sure its not my computer because if I try vanilla Banished, this does not happen. I also use Mini Buildings, Terrain Tools, Granny Park, Norsemen and the “New World Crops” mod. Occasionally I play around with Debug, but not often. I can add another variant of stone roads just for decoration. Maybe a cobblestone road. You also can try one of these decorative mods with additional road types. A higher speed than 10x I have never seen in a normal game. It’s only available if running test games directly in modkit. I don’t know what it is in your game. Hello. I have an issue with my iron. I have plenty of iron ore, plenty of charcoal, and plenty of iron bloom, but my blacksmith won’t create any more iron because it thinks it hit the resource limit. The problem is I don’t have any iron in any of my storage. In the resource panel, it says I have over 40 iron but I can’t find it anywhere and when I try to assign the blacksmith to make tools, he doesn’t have enough resources. I’m assuming this is a bug and the game thinks I have iron that I don’t. Is there a way I can get around this? Hello, I would like to see a screenshot with open UI of blacksmith and limits to check this issue. You can send me to tom@banishedventures.com please. I noticed on your compatible mods list that Minibuildings & EB Herbalist are missing a link. Is that because they are no longer compatible with the 1.07 version of The North? Hi Hawk! These mods work well, I just don’t have valid links. EBHerbalist actually should be available on WOB and MiniBuildings on Blackliquid site but I cannot find them. I will add links if we have them. I think these are the links.